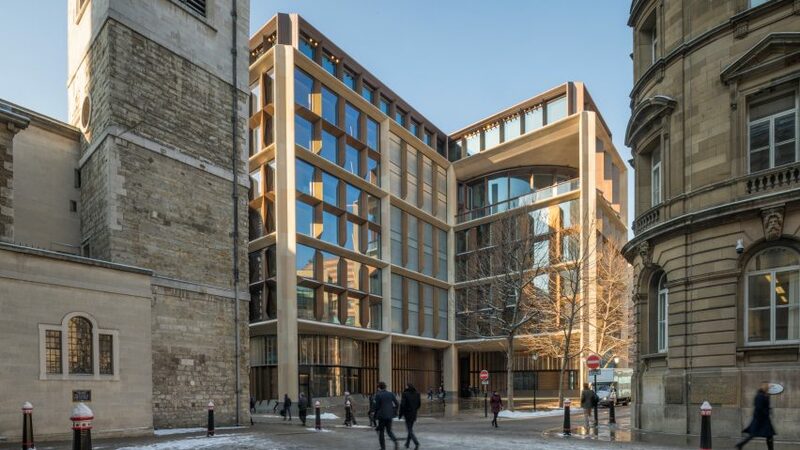 The 2018 RIBA Sterling prize was announced this week, the winner is the Bloomberg Building, by Foster + Partners. 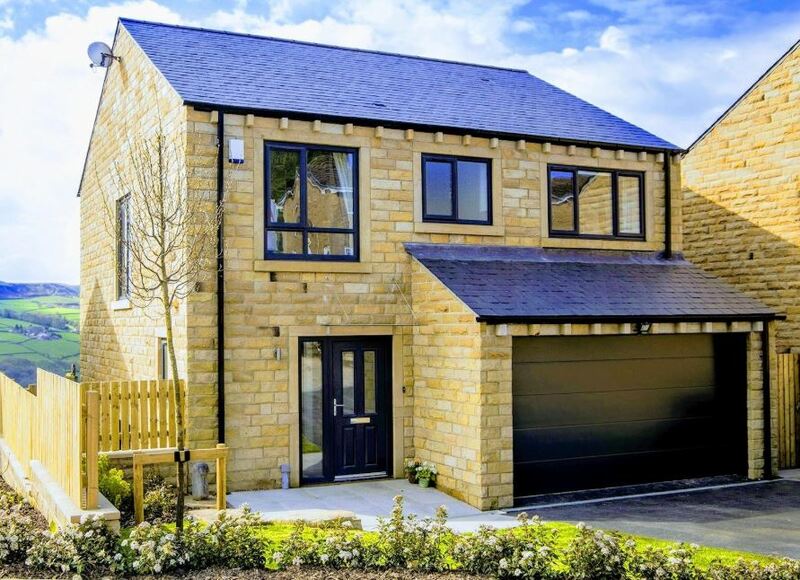 Priced at around £1B, it uses 9600 tonnes of the Derbyshire sandstone, Stanton Moor, from Marshalls. The same stone was used over the street on the Victorian court house. Love it or hate it, it is a worthy winner out of this years shortlisted projects. 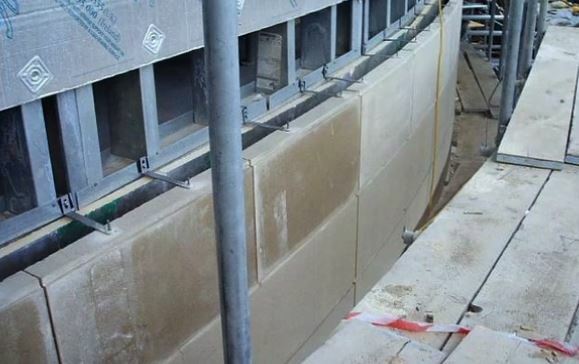 It is the most amount of natural stone used on a central London project in over a century. The project has been underway for ten years, and has the highest BREAAM rating for any corporate building in the world at 98.5. You can hear project lead Michael Jones talk about the design process and the requirement for collaboration in the brief, as well as the old-and-new tension encountered in the natural building products, like the stone and the relocated Roman Temple compared to the more modern high sustainability in the building use. For other shortlisted projects for this years Sterling go to the RIBA website here. Marshalls quarry the stone out of the ground making the block available. This is where organisations like us come in. 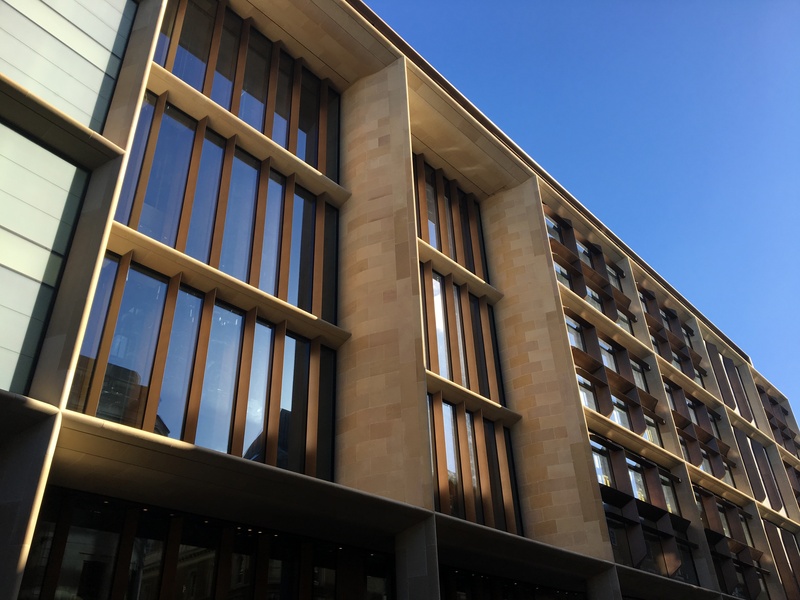 API Stone can source Stanton Moor sandstone direct from Marshalls in the form of block by the tonne, and we can cut and dress the stone as required for a project, whether typical handset like the Bloomberg, modern rainscreen, or traditional detailing works. Give us a call and we can go through your project and see what stone type would suit you, cost from drawings and organise samples. Feel free to fill in our contact form. 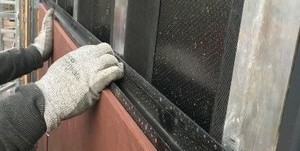 The two main types of anchoring back stone in the construction of large buildings is either: 1) traditional handset (also known as “ashlar”), where the stone pieces are held back by fixings and applied in courses, or: 2) rainscreen, where the stone is positioned on a metal railing system. The design choices for anchoring can be determined by the style and use of the building. Traditional handfixing the stone is still the most common use in cladding, particularly in the North of England and Scotland. 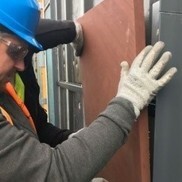 The stone is held back by restraint fixings with horizontal load bearing being situated every floor or every other as determined by a specialist structural engineer. The load bearing fixing can be anchored with a pistol back rebate to the bed of the stone cladding. It takes a specialist fixing team to apply dowel pins to each stone piece anchored to SFS or block substrate. Dowel pins such as the one illustrated here serve to hold back an entire floor level before horizontal is needed. 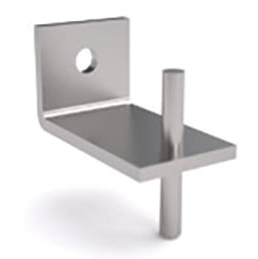 Pin holes are usually drilled on site by the fixing team. The joints between courses can either be left as expansion gaps or filled with a matching stone mortar grout. In estimating cost for a project with handset consideration should be given to supply of the natural stone, cut, dressed and sent to site, and also anchoring pieces and the fixing fee of a specialist stone subcontractor. 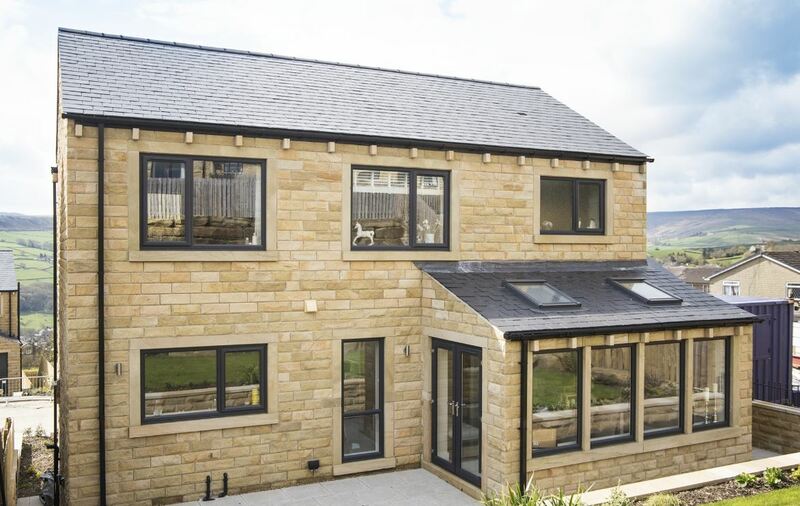 A natural stone rainscreen system is a means of cladding by which stone panels are supported on a steel or aluminum frame. Such a frame consists of helping hand with vertical supports and horizontal ”T” bar the stone is pinned back by. These systems have stronger pull-out load bearing capabilities such that the stone panels can be thinner than their handset equivalents; where handset tends to be 50-100mm thick, rainscreen stone panels tend to be 20-30mm thick. 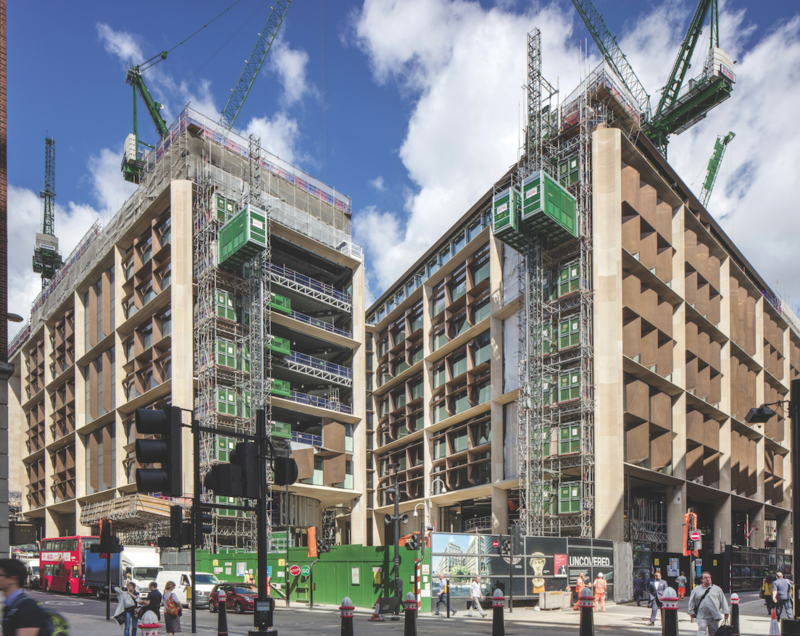 The advantages of the rainscreen are in ease of application and simplicity of loadbearing; each course is independent – compared to handset that needs horizontal supports to each new floor level. 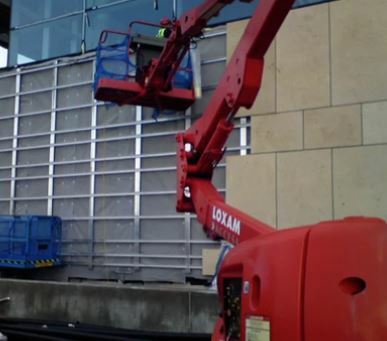 The disadvantages of rainscreen is the necessity of procuring the rail, usually at an equivalent to the thinner stone cost, the saving tends to be on the application labour. Handset is still the only way to go for complicated designs with quions or radius features.